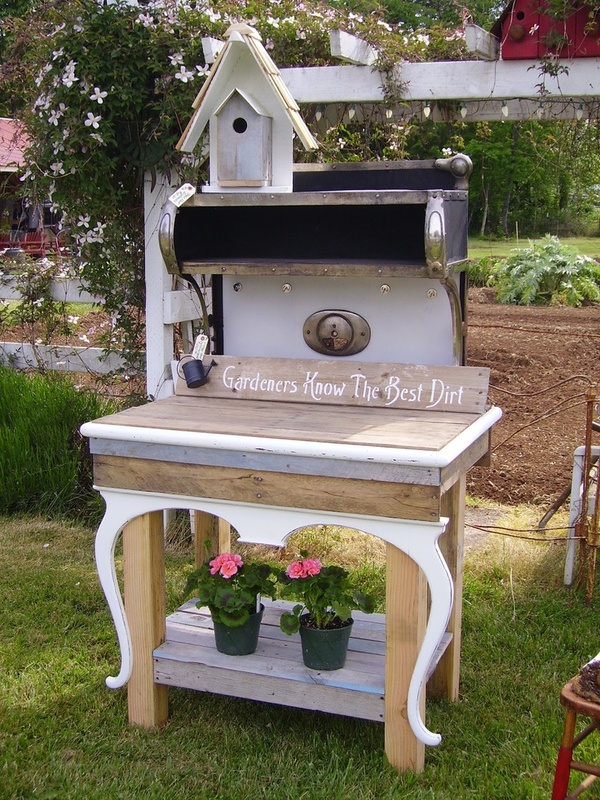 and basically to keep little old me organized in the garden. 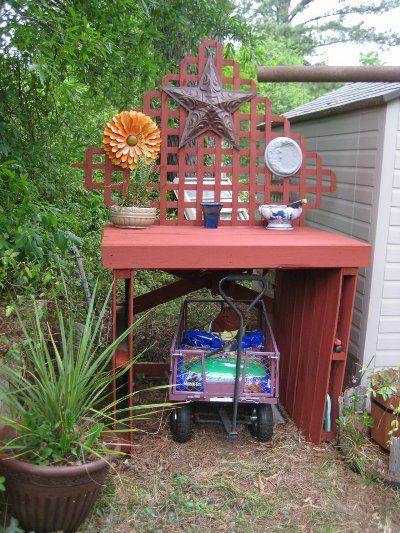 It's a great place to set up the bar- as long as the dirt's brushed off first! 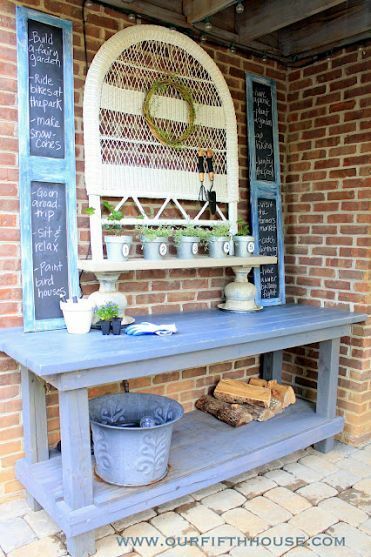 This old work bench is perfect for the task- love the shutters turned chalkboards too! 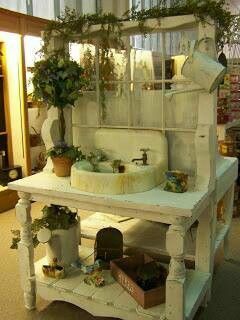 Love the old window and sink! 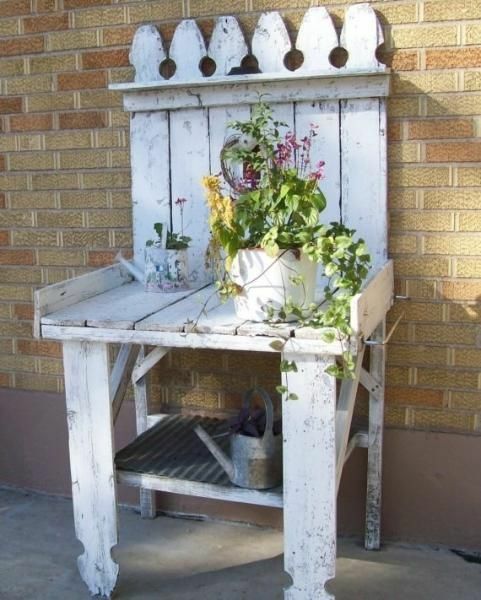 Love the lattice accent and the pallet legs! and have fun in the garden!